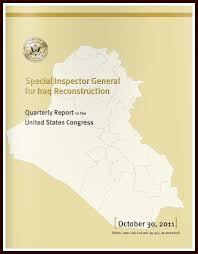 The 30 October Report of the Special Inspector General for Iraq Reconstruction*, an in-country American watchdog that closely monitors developments in Iraq, clearly shows a country out of control, that is ably assisting Iran in the evasion of global sanctions, that exhibits rampant corruption, and a country which should be avoided at all costs by US and EU financial institutions, lest they find themselves in a money laundering, or terrorist financing, nightmare. 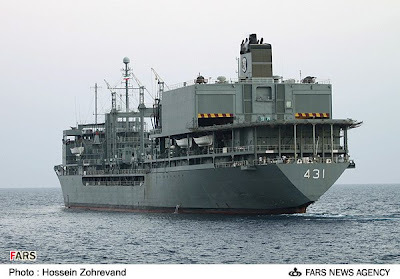 (1) Massive currency flight, in cash, in the amount of $800m a week, is exiting Iraq, and much of it is sent to Iran, notwithstanding global WMD and ballistic missile sanctions; This is an obscene amount of cash. There is no gatekeeper in Iraq. (2) Much of the currency flight is accomplished through fraudulent documents hiding the true purpose of the cash shipment. The money is purchased by Iraqi banks, for customers without any meaningful compliance being performed on either the client or its alleged customer abroad. (3) Corruption is ingrained in the Iraqi Government infrastructure, through political parties. 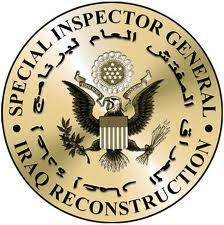 (4) Government contractors employ shell companies located outside of Iraq, and contract prices are rigged. 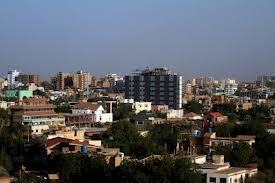 (5) Corruption, and the patronage it allows, has become a means of governance in Iraq. (6) The Quota system reigns; it is the allotment of government posts, according to political blocs. The result is that the public benefits only from a small fraction of the money spent on government projects. My recommendation: check to see if any bank clients are involved in trade or commerce with Iraqi companies or government agencies. Conduct a thorough review of the benefits to the bank of this dubious business, and consider exiting the business and/or the client, forthwith. Your bank does not want to be named as a facilitator of either corruption, or facilitating Iranian sanctions evasion, please. 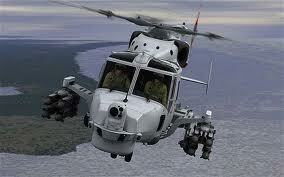 Stop all client/customer trade with Iraq at this time, in my humble opinion. History will one day record that the United States, under the misguided "Export of Democracy" principle espoused by former US President George W Bush, was responsible for dropping literally billions of dollars, into the bottomless pit of corruption that is post-Saddam Iraq. I regard Iraq as now as at the unacceptable level for Country Risk purposes. Kindly govern yourselves accordingly, ladies and gentlemen, if you are responsible for Country Risk evaluation where you work. Twenty European NGOs have lent their names to a campaign* seeking an import ban in the EU, on any goods produced by Israelis in the West Bank, and labeled "Made in Israel." 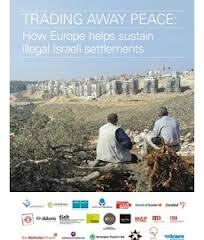 This effort, which seeks to raise awareness with European countries, which are in general critical of Israeli settlements in the West Bank, of their extensive trading trading with these settlements. 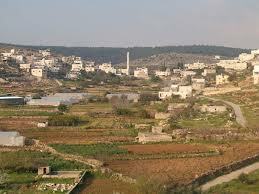 The stated goal is to have the EU focus on the Palestinian Territories, to produce a lasting political solution. Whilst the controversy over the legality of Israeli purchases of West Bank land, for occupancy is outside the scope of this blog, which focuses on financial crime, the risks that a bank assumes, when its customers' politics could possibly result in sanctions violations, is not. 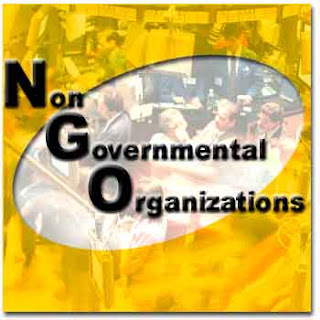 I know that these NGOs are reputable, responsible entities, but the staff and volunteers within represent an unknown factor, when it comes to the risk that donations to, or transactions with, sanctioned individuals or organisations, occur. To be blunt, it is not these NGOs, who are involved in the campaign to pressure the EU to cease trade with Israelis in the West Bank who are the danger, but individuals with their own hidden agenda, who could facilitate payments to Hamas, or any of the other sanctioned Palestinian terrorist organisations, with whom financial contact is strictly prohibited by law. The facilitators may be European volunteers with extremist views, or multilingual staff members from Middle Eastern countries who support a jihadist version of the Palestinian cause. They may also be Hamas agents living and working in the West Bank or Europe. This week, Israeli authorities detained thirty of them, and dismantled what has been described as an operations centre, which included contact with expats abroad. Were any of those Hamas agents using or manipulating any of the charities, churches, or aid organisations on the list ? (1) Transactions that are inconsistent with the stated aims and goals of the organisation. 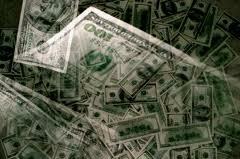 (2) Transactions with accounts in jurisdictions known to be conduits for terrorist financing. (3) Unusual or suspicious transactions. (4) Shipments for payment of what could constitute dual-purpose goods, or goods with military application. (5) Payments to foreign professionals or intermediaries with no connection to the organisation. You do not want to be interviewed by law enforcement, two years later, and be shown cancelled cheques or wire transfers, from your bank, that supported a Specially Designated Global Terrorist organisation (SDGT) in the Middle East; Monitor the accounts. 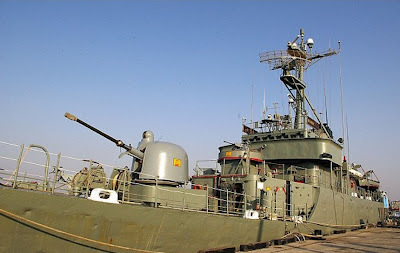 Two warships of the Islamic Republic of Iran Naval Service arrived this week at Sudan's Port Sudan, and Iranian naval commanders are reportedly engaged in consultations with their Sudanese counterparts, allegedly on matters of air defence. 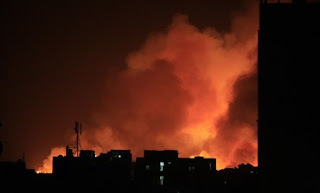 A major Khartoum arms factory, the Yarmouk Military Complex, was bombed recently, and Sudan has accused Israel of destroying it. 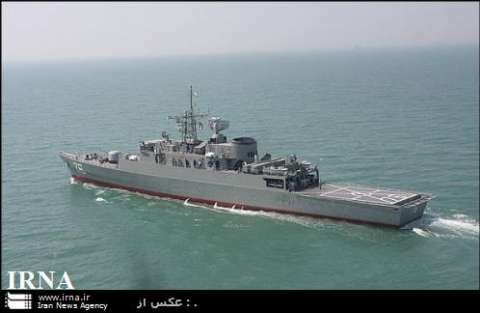 The complex was allegedly engaged in arms and ammunition manufacturing for Iran, and was to then ship the weapons to Hamas, through Egyptian territory. 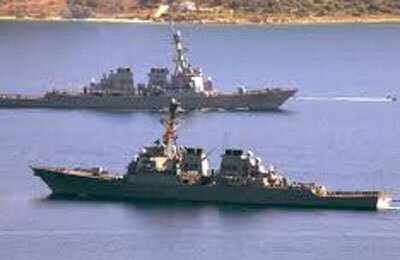 The vessels are the corvette Shahid Naqdi and the helicopter carrier Khark. There are American naval forces, as well as shore-based facilities, in the region, and this show of force only increases tensions between Iran and the United States. Sudan is unstable enough, without the arms factory bombing, and Iran's subsequent show of support for its ally. We have seen previous attacks on Sudanese territory that were probably conducted by Israel, against terrorist targets. 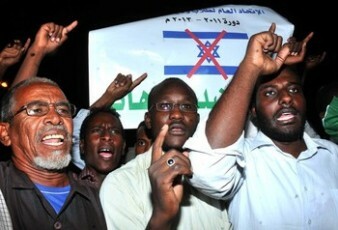 Will Sudan become the new area, between Iran on one side, and the US & Israel on the other ? if this happens, risk levels in the Middle East will rise rapidly, and compliance officers will be adjusting Country Risk upward for countries in the area. 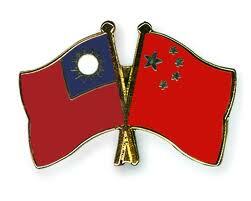 IS CONTINUED CHINESE ESPIONAGE IN TAIWAN A COUNTRY RISK FACTOR FOR ASIA ? 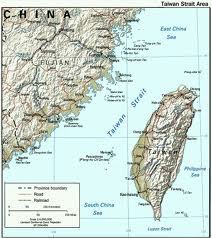 Taiwan's announcement this week, that a senior retired Taiwanese naval officer has been arrested for espionage, together with two other unnamed naval officers, is but the latest in a number of cases where Taiwanese officers have been accused of spying for China. Lt. Col. Chang Chih-Hsin has been charged with spying, as well as bribing other naval officers, at the Naval Meteorological & Oceanographic Office (METOC). 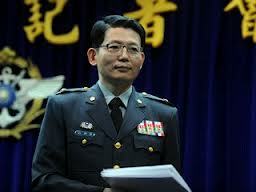 Chang allegedly became involved whilst still on active duty, and visited China three months after his retirement. He reportedly delivered ocean bottom topography and hydrologic data, involving submarine nautical charts of the waters surrounding Taiwan. 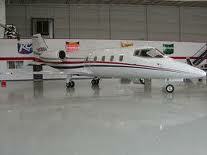 There are conflicting accounts regarding whether the information was classified or unclassified. The Republic of China has submarines patrolling the Straits of Taiwan, and the information obtained by China could assist it in ascertaining routes of travel. 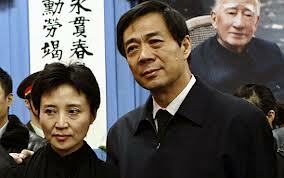 Beijing has officially denied any involvement in the Chang case. 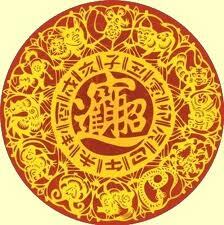 There has been a case, involving spying for China, earlier in the year, and another major case in 2011. Any Country Risk assessment on Taiwan, or East Asia, should take these incidents into account when updating your calculations. 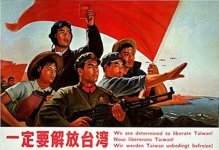 Whilst South China Sea issues have dominated the news of late, do not forget that China has never abandoned the position that Taiwan is a integral part of China, and has reserved the right to recover it, through military action, if necessary; Remember that. 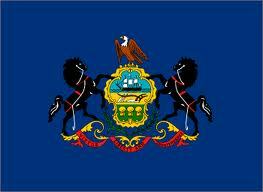 For those readers who are following the civil suits against Advance Fee/Ponzi scheme fraudster Steven "Dean" Kennedy, and his insolvent company, Atlantic Rim Funding Corp., a United States Bankruptcy Judge in The Eastern District of Pennsylvania has dismissed the pending Adversary Proceeding pending there. The Court found that, due to the dismissal of the underlying bankruptcy proceeding, of Land Conservancy of Elkins Park, it no longer had jurisdiction. The court specifically ruled, in the Order of Dismissal. that the $3.1m final judgment, previously entered against Dean Kennedy and Atlantic Rim Funding Corp. was in no way affected. 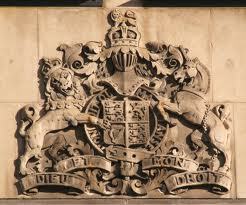 Fortunately for defendant J. (Jay) "Mac" Rust, Atlantic Rim's former attorney, the claims against him, which were still pending, have been dismissed. Rust no longer represents either Atlantic Rim, or Kennedy, and regrets that he was ever involved with the company. 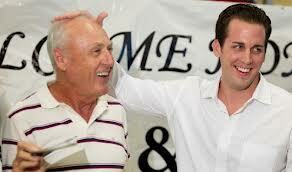 Was he also a victim of Dean Kennedy's massive fraud ? We cannot say, but we are waiting for the criminal justice system to catch up with Mr. Kennedy (whatever his real name is), and impose the appropriate penalties. Will Rust be charged ? Stay tuned to this blog for updates. 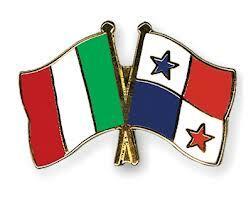 WILL ITALY NOW CHARGE PANAMANIAN PRESIDENT MARTINELLI WITH CORRUPTION ? You thought that it would never happen, but when Italian prosecutors filed criminal charges against former Premier Berlusconi, the chances that a filing against Panamanian President Martinelli, in Italy, increased exponentially. 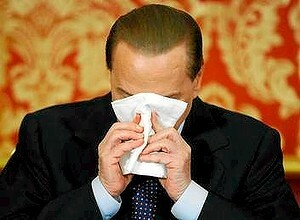 Those individuals in Italy, who heretofore appeared to be immune from prosecution, have already fallen in one or more of the corruption cases. When will it be Martinelli's turn, I wonder ? Insiders in the Panamanian Government report that President Martinelli claims to have a well-founded fear of arrest, and that is why he has delayed his return to Panama City. Will he stay away indefinitely, or return and be arrested when his aircraft lands to refuel somewhere ? We cannot say, but we are watching developments in Rome a bit more closely than those those in Panama City, if that provides a clue. 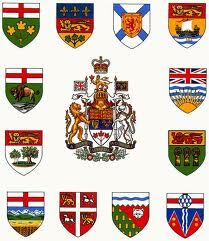 WILL CANADA IMPROVE BENEFICIAL OWNERSHIP REGULATIONS ? I was pleased to learn recently that the proposed Canadian Regulations, under the Terrorist Financing and Proceeds of Crime Acts, will reportedly close a major loophole regarding Beneficial Ownership. The current requirement, which appears to only require that Regulated Entities take 'reasonable measures' to ascertain Beneficial Ownership of an entity, is an open invitation to unsavoury customers who you would not accept, should you know about their interest. All they have to do is frustrate your enquiries, so that you never learn the truth. The proposed changes obligate entities making such enquiries to obtain answers, and furthermore, to keep a record of their queries. In the event that they simply cannot learn who are the Beneficial Owners, or to verify the information they secure, they will be required to learn who is the most senior officer, and to also treat the entity as high risk. 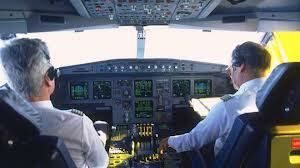 Whilst I would certainly prefer that Canadian banks, and other regulated entities, decline to accept corporate customers whose owners they cannot positively identify, with a high degree of certainty, I know that customer relationship managers would find a way to torpedo that policy. I can live with the proposed regulations; just pass them into law forthwith, with no one-year period for an effective date, please. DID DISCLOSURE ABOUT CHINA'S PRIME MINISTER'S WEALTH STRIKE A NERVE ? The recent article, which appeared in the New York Times, disclosing that the elderly mother of the Prime Minister of China was worth $120m, notwithstanding that she had absolutely no work history, appears to have struck a nerve in Chinese PEP circles. It has been reported that the South China Morning Post contained a response, from two prominent mainland China law firms, disputing the truth of the story, and threatening the paper with litigation. Moreover, China has blocked the article, both the English as well as Chinese versions, through its massive Internet censorship facilities; Apparently, this particular truth is painful. One wonders how many aged relatives of corrupt Chinese PEPs have bank accounts in EU and North American banks, and how few are known to their bankers as parents of wealthy PEPs. One must expect that the numbers are in the thousands, given China's population, and number of government and Communist Party functionaries. Remember, China's few reformers struck out this year; there will be no meaningful reform, and the bribes, kickbacks and special government contracts will continue to enrich the PEPs. The system will continue to spawn dirty PEPs, and their princeling offspring. This news is just one more wake-up call regarding high-value accounts of Chinese expats; you should have your Mandarin-speaking staff reexamine all the personal data information on those clients, lest you be banking the next Bo Xilai. There were massive explosions at the the Yarmouk Arms Factory, in the Al-Shagara Industrial Complex, in Khartoum, Sudan, this week. It is estimated that 60% of the facility is completely destroyed, the rest being partially destroyed. There are two confirmed dead on the scene. Who was responsible ? 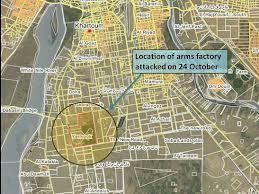 Yarmouk manufactures arms and ammunition, and it is believed to be under contract to the Government of Iran. Arms and ammunition flow from Sudan, through Egypt, and into the Palestinian Territory of Gaza, which is administered by Hamas. Many observers are of the opinion that Gaza was the ultimate destination for Yarmouk's output. There is no clear-cut evidence regarding how the attack ocurred. The Government of Sudan alleges that four aircraft sent from Israel bombed the facility, but no proof has been made public. Was it sabotage, or a missile attack, and who was involved ? Israel or the United States may have been involved. Israel has attacked Sudanese convoys containing arms destined for Gaza in the past, and there is a report that the radars as Khartoum Airport were disabled prior to the explosions. The United States, in an abundance of caution, closed its embassy in Khartoum, when protesters appeared, casting blame for the incident upon the West. Two charter jet pilots from Houston, who unwittingly transported a passenger smuggling $2.3m in cash into The Republic of Panama, were released yesterday, and allowed to leave the country. They had been under charges of suspicion of money laundering since May, 2011, when they arrived in Panama, transporting a client, a Honduran national, who was carrying millions of dollars believed to be criminal proceeds. They had no knowledge that he was engaged in bulk cash smuggling. Carl Moody and Kenneth Chonowski arrived in Houston, the home base of American Jet International, their employer, after Panamanian prosecutors concluded that they were innocent of any crime. They had been required to remain in Panama whilst the investigation continued. Their employer generously covered all their expenses, and salaries, whilst they were confined to Panama. Perhaps we might now coin the term KYP, or Know your Passenger, for aviators, when picking up clients who wish to be transported in business jets. No matter what industry one is in, due diligence is important. 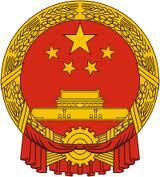 I am disturbed by the failure of factions in Chinese politics to effectuate any meaningful reform. I note that a number of "princelings," the sons and daughters of high-ranking officials and military officers, have been appointed to senior positions in both the civilian government, and military forces, and not the reform element. 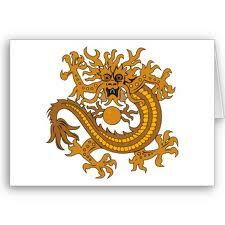 This impacts compliance officers at international banks, outside of China, that have accounts of high net-worth Chinese, for it appears that the princelings, and their extended families, are the worst offenders in the rampant corruption that infects China today. This means that the bribes and kickbacks they receive, and the lucrative government contracts they grant to their associates, will continue to pose a clear and present danger to international banks who accept them as clients. What UK banks hold their millions, I wonder ? These individuals, and their families, go to great pains to deceive and trick Western bankers, lest they tumble to the truth, and close the accounts. The widespread use of aliases, bogus occupations and professions, the fraudulent use of government-controlled companies being held out as their own, and many more tricks of the trade, all expose the banks to ultimately grave reputation damage, when the deceptions are publicly exposed. 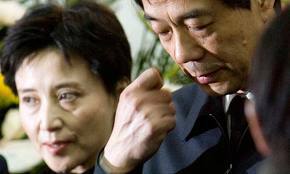 One wonders what the damage will be to the banks that hold Bo Xilai's millions, and those of his amoral wife, and partying son, when they are named. From now on, it is best to regard all high net-worth Chinese seeking to open an account relationship, as PEPs until proven otherwise. Engage someone competent to perform Enhanced Due Diligence before you accept any of their money, please. If you read the fine print in banking notices, as I do, you may have seen this one. 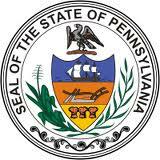 A Pennsylvania bank, which intended to offer shares of its stock to the public, was forced to withdraw that offer. It seems that an examination by regulators found serious defects in the anti-money laundering and Bank Secrecy Act programmes. The bank will now be hiring additional compliance staff, and improving and updating its compliance programme. The next time senior staff at your bank complain about rising compliance costs, remind them that compliance shortcomings, when found, can often kill a bank's attempts to raise funds, expand in to new areas, offer additional services, and any number of advances planned by the directors. Always make sure your compliance house is in order, before you take any steps that will bring regulators into the bank to check it out, lest you be financially embarrassed like this bank was. The lawyer for convicted arms dealer Viktor Bout, who has taken an appeal from his conviction in United States District Court in New York, to the Second Circuit Court of Appeals, has asked the Government of Russia for assistance. Albert Dayan, Mr. Bout's legal counsel, and who represented him at his recent trial, has requested monetary assistance from Russia, so that he may pursue the appeal, as well as investigations in the United States and Thailand. It is attorney Dayan's contention that the extradition order in Thailand violated Thai law, and that it was obtained by the United States through intimidation and indirect compensation. 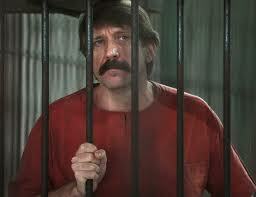 Dayan wants to investigate the circumstances surrounding the extradition, and inasmuch as Mr. Bout does not have sufficient funds to cover these expenses. 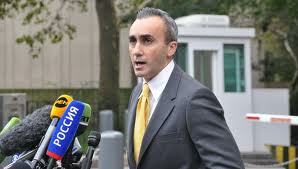 Mr. Dayan is seeking financial assistance from Russia. Considering that the US Bureau of Prisons has dropped Bout in a prison designed for terrorists, far from New York, where he was convicted, and where his ability to assist in the preparation of his appeal is all but eliminated, it is hoped that he receives whatever help his attorney needs for the appeal. Anything less makes a mockery of the rule of law. Won't you please come home, President Martinelli ! Panama's mercurial president, on tour in Asia, appears to be delaying his return to his country indefinitely, perhaps forgetting that Panamanian law mandates presidential absences which exceed ten days allow the Vice President to take over. 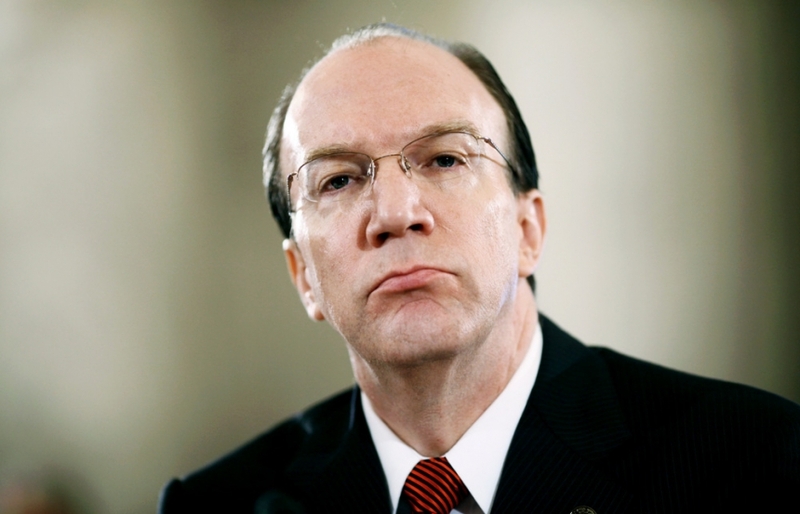 He has been in close contact with his advisers in the Republic of Panama, whose attention is firmly fixed upon the exploding Finmeccanica corruption scandal in Italy, which will most likely result in his indictment for receiving $15m in kickbacks, for directing a lucrative national security contract to Finmeccanica, the Italian aviation company that is 30% owned by the government. 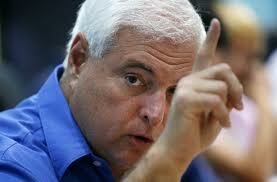 To put it directly, Martinelli is afraid of being arrested when his aircraft is en route Panama. A former senior company officer has already been arrested in Italy, and former Italian Economic Development Minister Scajola has been implicated in corruption, in a widening enquiry that also alleges corruption, including kickbacks with government contracts in Brazil. According to Italian prosecutors, witness testimony, and the evidence, shows that a corporation controlled by Martinelli received the money, which was deposited into accounts outside Panama, in three different countries. 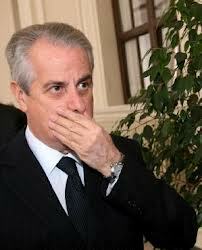 It is not known whether President Martinelli is wanted by Italy, nor whether arrest warrants have been issued. Meanwhile, Colón, a Panamanian city on the Caribbean coast, burns, as the public continues to protest in the streets, over the illegal sale of public land in the Free Trade Zone. If there ever was a time when Panama needed its president at the helm, it is this week, but he is absent without leave. FARC BOMBED IN COLOMBIA BY PANAMANIAN FORCES ? RAISE COUNTRY RISK (AGAIN) ON LEBANON ? WHO READS THIS BLOG ? RAISE COUNTRY RISK FOR CHINA AND JAPAN ? WILL PANAMA ADOPT THE EURO ? DID HEZBOLLAH'S CFO DEFECT ? IS WIFE OF PONZI SCHEMER PLEADING OUT ? ONLY TWO YEARS FOR BMPE MONEY LAUNDERING ?